Each country with a painful and outrageous past should find courage to face the truth when the opportunity comes. To do that, there is no need to accept the guilt, but for the sake of changing it in a better way. Talking about how bad the World War II or what the Nazi had done towards fellow human beings is unthinkable, but also, is something that history has already proven how wrong and unnecessary it was. 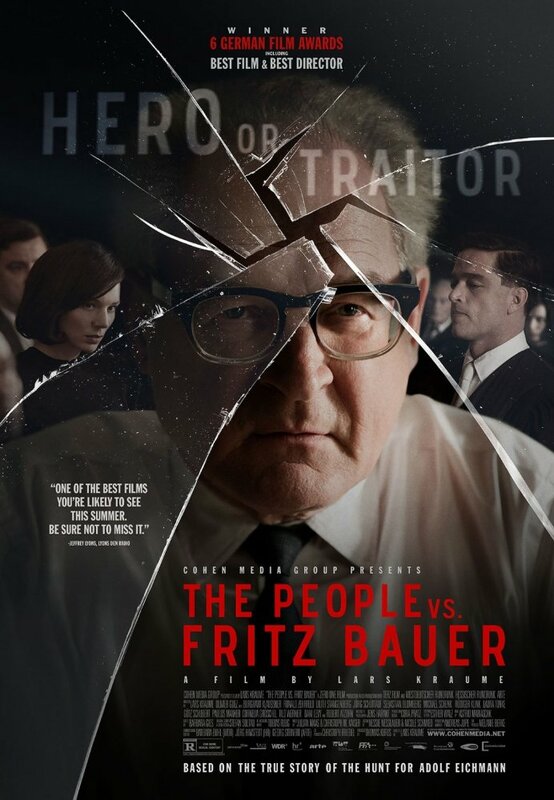 Therefore, watching Lars Kraume’s movie “The People vs. Fritz Bauer” is another lesson we all must learn – that no one should be able to get away with mass murder. Especially when that murder was authorized at a government level. When the movie begins, we find Fritz Bauer almost drowning in his own bathtub. Was it attempted suicide, of course not. But that is not what came to his colleagues’ mind . After recovering from the incident, Bauer was about to visit his sister when he receives an important letter from Argentina, sent by Hermann, who claims that his daughter is dating with the eldest son of Adolfo Eichmann who has been in charge of murders during the World War II. Knowing Eichmann’s alias does not make Bauer’s life easier to fish him out from Argentina, hence he seeks for help from Israeli Masad, who promises of Eichmann’s extradition to Germany if the arrest is made successfully. Also, as the story unfolds, we come to know that the case against Eichmann was opened right after the war ended to put him on trial, but for many reasons, and one of them because of Eichmann’s insiders, the case was slowly about to disappear from the dusty archive. Angermann is a prosecutor who tries to help Eichmann to recently send to prison a young man for unusual sexual preferences, while he himself had one. This was one of the levers when the authorities tried to investigate who is the man who stands behind Eichmann’s prosecution. The People vs. Fritz Bauer is an excellent historical film that aims not to overload the audience with too much facts but rather captures only one part of it, enough to shake any indifferent mind. The soundtrack written for the film is quite touching and expressive, which helps to digest the storyline better with no side effects. Performance delivered by the entire cast is delightful enough to help you keep your attention in the film fully. In conclusion, Lark Kraume’s film is another powerful drama that takes the audience back in time, when the past leaves a certain mark that will never be erased until the world exist. And that too, unfortunately, not in a good way.